The National Peace Committee (NPC) says ex-US president Bill Clinton will attend the signing of a peace accord between President Muhammadu Buhari and Atiku Abubakar, presidential candidate of the Peoples Democratic Party (PDP). In a statement on Sunday, Atta Barkindo, head, NPC secretariat (Kukah Centre), said the event would take place on Wednesday at the International Conference Centre (ICC) Abuja. Barkindo said Baroness Patricia Scotland, secretary-general of the Commonwealth, is also billed to attend the event. 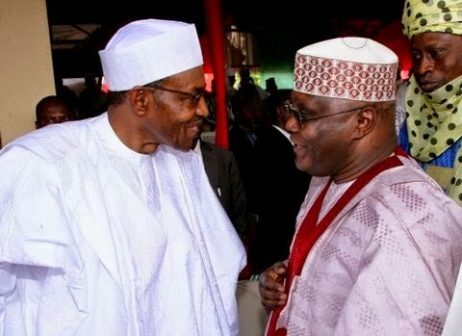 He said apart from giving a goodwill message at the accord signing, Clinton would hold meetings with Buhari and Atiku. “As we move into Nigeria’s national elections, the threat of unrest has to be taken seriously,” Barkindo said in the statement. “The National Peace Committee, mindful of the importance of peaceful elections and non-violent transfer of power, has engaged various stakeholders in preparation for the 2019 general elections. “To this end, it is pleased to announce that it has invited Bill Clinton, 42nd President of the United States of America; and Baroness Patricia Scotland, Secretary General of the Commonwealth, to visit Nigeria from 12 to 13 February, 2019, ahead of the Nigerian presidential elections.